Nothing spices up a pickle quite like fresh chili peppers, so we aren’t afraid to pack them in whole. The heat is balanced with whole cloves of garlic and a touch of mustard. 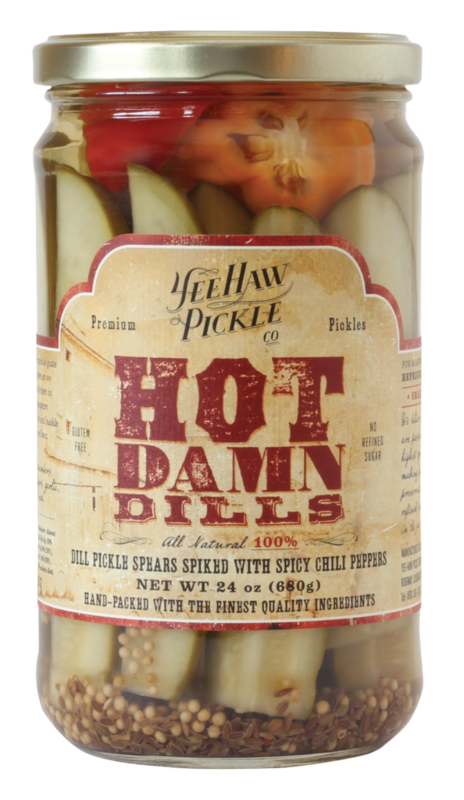 Devoured straight from the jar or served as a spicy condiment these Hot Damn Dills have addictive back-end heat.